All rooms have private ensuites - no shared bathrooms. Indoor Pool Solar Heated for Summer Use Heated Jacuzzi Sauna Pool Table Guest Lounge with Cosy Log Fire in Winter Two BBQS (plates & cutlery provided) Pool Table Outdoor pavilion surrounded by shady lawns and tall Tuart trees Studios and Rooms all with private en suites (disabled facilities room available) Dietary requirements catered for - please advise. Perfect for a luxurious getaway, honeymoon (first, 2nd or more!) or just when you need a little pampering, is over 40m2 in area. It has a feeling of grandeur from a by-gone colonial era. Features include 4 poster Queen bed with matched bedsides, and crisp white linen, large dressing table with mirrors,80 cm LCD TV and DVD, reverse-cycle air conditioning, spacious north-facing verandah. The fully tiled en-suite bathroom has a curved glass shower featuring an adjustable massage hand-shower, large vanity, WC. 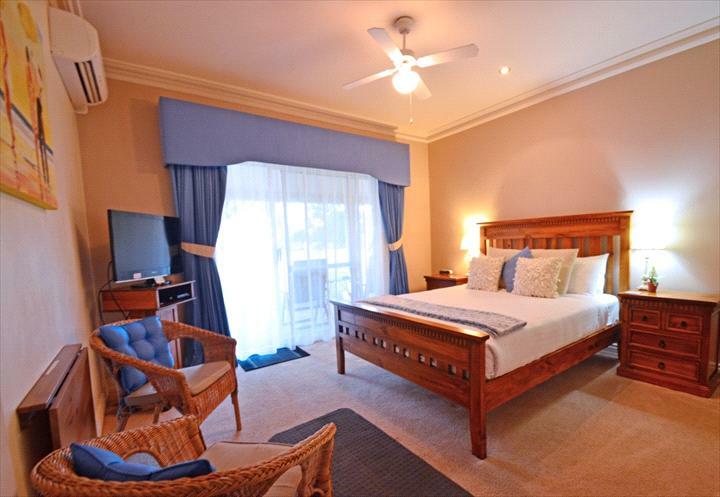 This room features a timber queen-size bed with crisp white linen, 80cm digital LCD TV and DVD, Reverse-cycle air conditioning, and sliding glass door access to the north-facing verandah. The tiled-to-the-ceiling ensuite bathroom with vanity, and a bath with adjustable massage hand-shower over. Enjoy a healthy continental breakfast delivered to your room for you to enjoy at your convenience (gluten free and dietary requirements are catered for - please advise when booking). 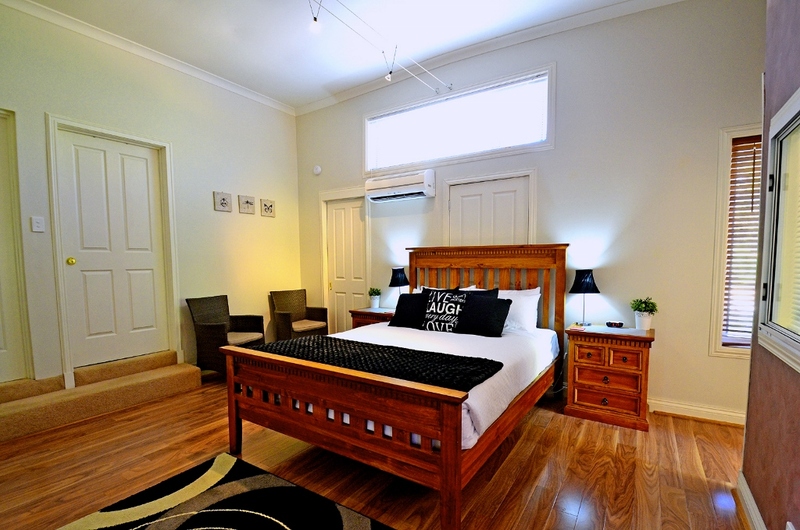 This room features Timber Queen bed with crisp white linen, 80cm digital LCD TV and DVD, R/C air conditioning, and sliding glass door access to the north-facing verandah. The facilities are private with a separate powder room with small vanity, and a separate shower room with adjustable massage hand shower. This room features a timber queen-size bed with crisp white linen, 80cm digital LCD TV, air conditioning, and sliding glass door access to a semi-private courtyard within the indoor pool area. It also has a small separate room which has room for extra luggage. The bathroom has a shower with adjustable massage hand shower, a large vanity. Please note that breakfast is not included in this rate. This room is on f the east wing, with sliding glass door access to a north-aspect veranda with seating to relax and take in the views. 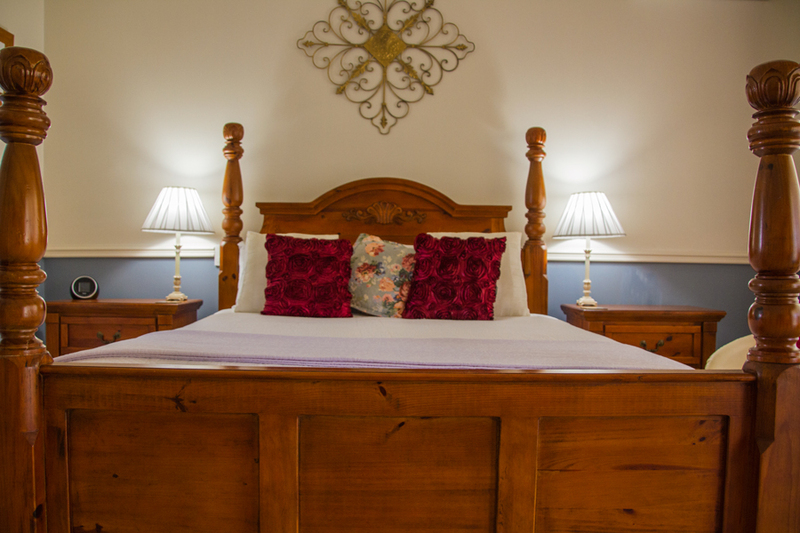 As with all our rooms it has a timber queen-size bed with crisp white linen, 80cm digital LCD TV and DVD, air conditioning. It has an en suite bathroom with shower, vanity and WC. 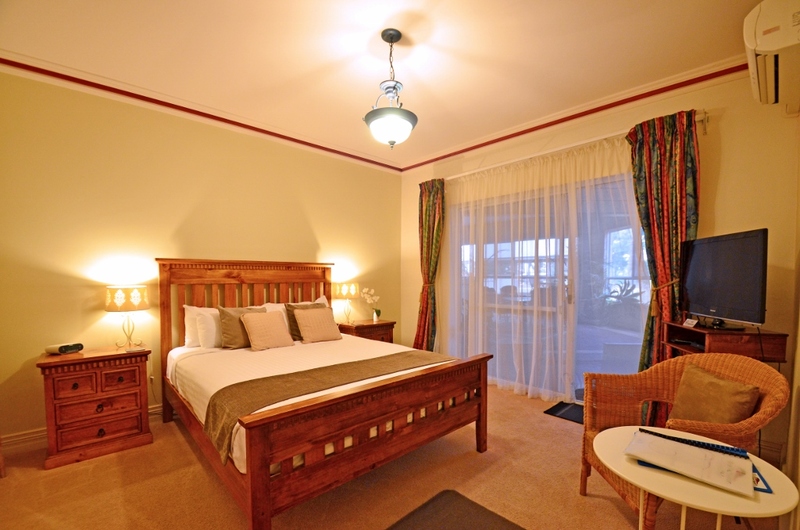 Spacious Queen Studio style room with private ensuite, lounge sitting area and small kitchenette opening onto a verandah overlooking lawn area and tall trees. Two TVs, one 80cm LED flat screen in lounge area a smaller wall mounted LCD opposite bed. Parking outside the entrance door. Kitchenette has microwave, fridge and small sink (no cook top or oven). Efficient Fujitsu reverse-cycle air con, ceiling fan and comfortable seating, table and chairs for in room dining. Crockery and cutlery provided. Spacious Queen Studio style room with private ensuite, lounge sitting area and small kitchenette opening onto a verandah overlooking lawn area and tall trees. Two TVs, one 80cm LED flat screen in lounge area and a smaller wall mounted LCD opposite bed. Parking outside the entrance door. Kitchenette has microwave, fridge and small sink (no cook top or oven). Efficient Fujitsu reverse-cycle air con, ceiling fan and comfortable seating, table and chairs for in room dining. Crockery and cutlery provided. 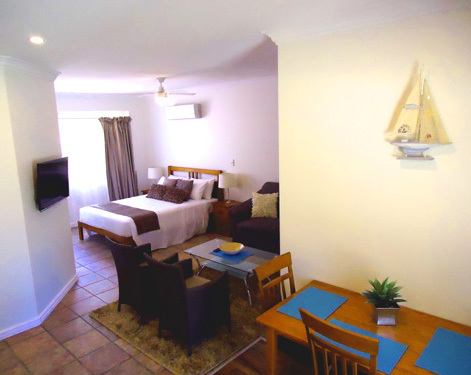 Spacious and comfortable Queen Studio style room with large ensuite, lounge sitting area and kitchenette opening onto a verandah overlooking lawn area and tall trees. Two TVs, one 80cm LED flat screen in lounge area and a smaller wall mounted LCD opposite bed. Kitchenette has microwave, fridge and sink (no cook top or oven). Efficient Fujitsu reverse-cycle air con, ceiling fan, comfortable seating and table and chairs for in room dining. Crockery and cutlery provided. Full wheelchair accessible disabled bathroom with shower seat and shower fixtures, seat rest toilet and wheelchair accessible basin. Wide wheelchair access doors. Large area parking next to room. Extra Single Bed available (extra fee applies for 3rd person) Perfect for longer stay with a more spacious room with extra facilities! 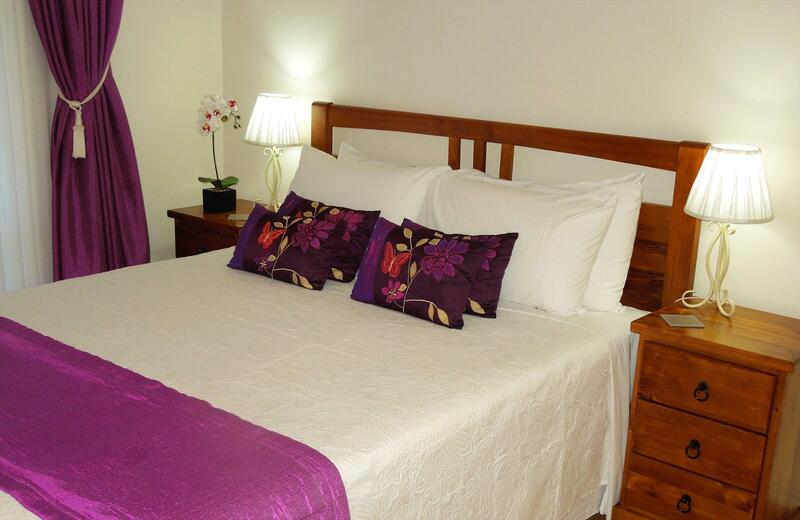 Extra Single Bed available (extra fee applies for 3rd person) Upgrade to a more spacious room with extra facilities! 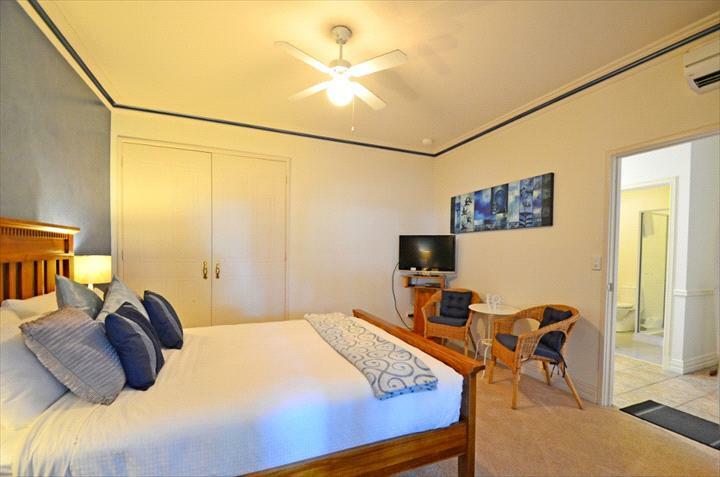 Spacious and stylish queen studio upstairs with balcony with seating overlooking the forest. High ceilings, light, airy and relaxing room with no neighbors. Small kitchenette with microwave, fridge, tea/coffee, aircond. Spacious en suite bathroom with double vanities, separate shower and toilet. A sitting room with high back chairs, TV and DVD overlooking the forest views. An extra room with a single bed room (extra fees apply for 3rd person). Ideal for 3 sharing or for longer stays. 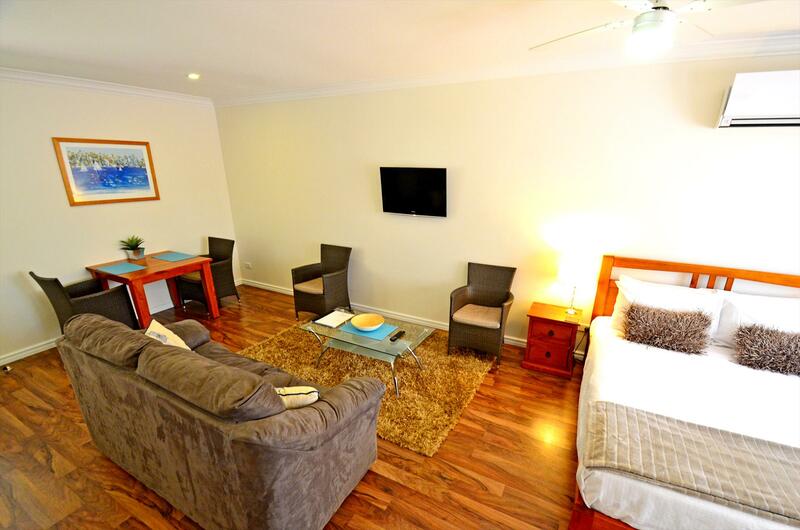 Spacious and stylish queen studio upstairs with balcony with seating overlooking the forest. High ceilings, light, airy and relaxing room with no neighbors. Small kitchenette with microwave, fridge, tea/coffee, aircond. Spacious en suite bathroom with double vanities, separate shower and toilet. A sitting room with high back chairs, TV and DVD overlooking the forest views. 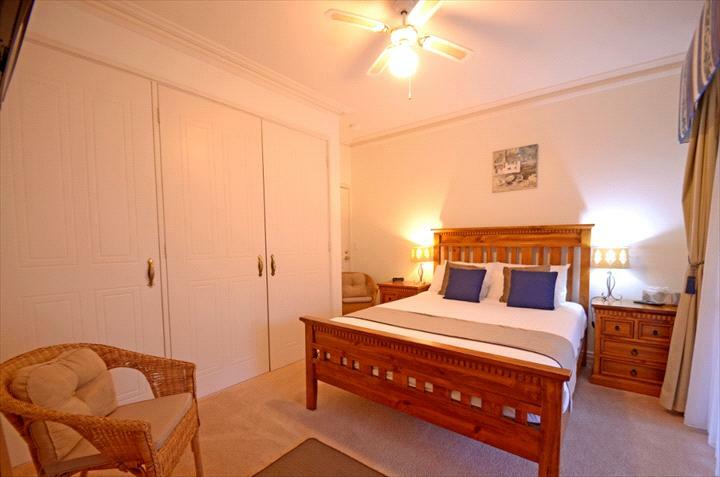 An extra room with a single bed room (extra fees apply for 3rd person). Ideal for 3 sharing. We are Busseltons only Forest Mansion and the biggest property in the Margaret River region that can accommodate everyone under one roof. Our facilities are ideal for families and groups who can enjoy having the entire lodge and resort style facilities to themselves. Children and infants are welcome with group bookings. Perfect for celebrations, birthdays, family holiday, retreats, anniversaries, memberships and special interest groups. You can get together and socialize in the massive indoor pool area and spacious guest lounge, or outside on the 50 square metre pavilion with tables, chairs and a BBQ to entertain your guests. You have a dining table and chairs which is 8 metres long and large enough to seat everyone for a large gathering or special feast. You will have a full kitchen and 2 BBQs so that all you need is the food. And you can shop on line. Woolworths will deliver food and drinks. We will ensure that your order is look after. We will even chill the wine and put the beer in the fridge for you. No need to go into town shopping. Please note: children of all ages are welcome in group bookings. Celebrations: Perfect for special occasion celebrations, birthdays, family reunions, anniversaries and special interest groups. The property is reserved exclusively for the use of paying guests. Visitors may be permitted to attend the property by prior arrangement subject to approval by the owners. 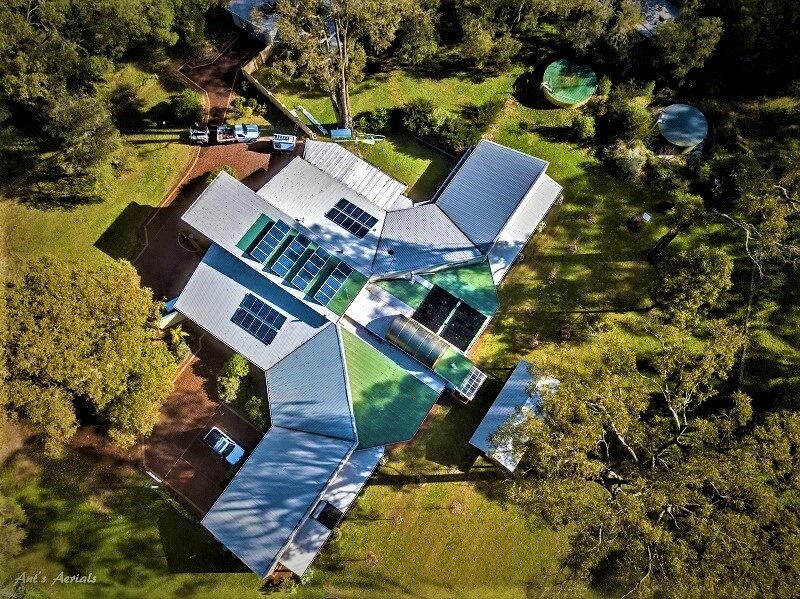 Located on 9 acres of Tuart forest 5 minutes to town centre and beach. Private and surrounded by nature. All rooms have queen beds, private ensuite bathrooms, reverse cycle air conditioning, crisp white linen and fresh towels, fridge, tea and coffee facilities, TV / DVD player, and guest toiletries. Exclusive use of all the extra spacious guest areas, including the 250m2+ indoor pool area with heated jacuzzi, sauna, and BBQ with Teriyaki hotplate, 8 metre long table and chairs, huge guest lounge with pool table and cosy log fire in winter and an outdoor 50m2 pavilion with BBQ, and tables and chairs for outdoor dining. Studios have their own lounge, table and chairs and kitchenette (2 with extra single beds fees apply). There is a 2 night minimum stay for group bookings. The cost includes 8 bedrooms, studios and apartment with 8 queen beds all with private ensuite bathrooms and exclusive use of the lodge and all its facilities for up to 16 guests aged 2 years and older. Infants under 2 are free of charge. A refundable bond of $500 and a cleaning fee of $250 applies to all bookings. Booking Terms and conditions: Deposits For all Peak season School holidays Events and "Whole of Lodge" bookings made 60 days or more in advance - 50% deposit on booking confirmation. Balance due 60 days prior to arrival For all other times and bookings made Full payment is due at the time of booking. Cancellation For Peak season School holiday Events and Whole Property bookings cancelled 60 days or more prior to arrival - Full refund less $150 admin fee Cancelled 61 days prior - full refund less cancellation fee of $150. Cancelled 60 days or less before arrival date - No refund For all other bookings cancelled up to 31 days prior to arrival - Full refund less $50 admin fee. Cancellations made 30 days or less prior to arrival - No refund The above conditions also apply to early departures or amendments within the time frame/s stated. Important Note: Travel insurance is available to cover against loss of pre-paid travel expenses due to unforeseen circumstances such as accident illness etc. Ask for a domestic cancellation policy for Aust. residents which may be as little as $30 pp or it forms part of international travel insurance for overseas guests. Payment for bookings may be made by credit card cheque or bank direct deposit (please call or e-mail for bank details).